Skin Genesis - Does Skin Genesis Work? Question: I have used L’Oréal products for years and just saw something new in the store the other day. It’s called Skin Genesis and seems intriguing. But it seems like there are a lot of products in the line and I just want one that I can use as a daily wrinkle formula. Do they have something like that? 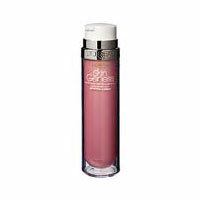 Answer: Yes, probably the item you are looking for is the Skin Genesis Daily Treatment Serum Concentrate made by L’Oréal Paris. It comes in a small pump bottle that dispenses a clear and concentrated solution for daily use. The treatment is formulated to tighten skin and even tone by strengthening it from within, promoting collagen production, speeding up cellular replenishment, and hydrating the skin. One of the active ingredients is a compound called Pro-Xylane™, which is extracted from the beech wood plant using green chemistry, a process using a water solution that causes it to be non-toxic, biodegradable, and able to be safely reabsorbed into the environment. The particles are apparently so small that they can penetrate all the skin’s layers. However, what Pro-Xylane™ is exactly, and how it works, is not fully explained. The serum also contains hyaluronic acid, which is a component in healthy skin and found in a lot of wrinkle treatments. The complete list of ingredients is not included on the product page, which may be problematic for those with sensitive skin or allergies. Testimonials from satisfied customers, scientific evidence supporting their claims, and a money back guarantee are also not included on the product page on the L’Oréal Paris website.